Fabulous location, plenty of space in unit, kitchen well equipped. Friendly host met us promptly and fixed broken door handle shortly after we reported it. Garden, but access not direct from apartment which was not clear from photos. Location good. Amazing and large modern apartment attached to an old monastery. Large garden overlooking monastery. Very central. Parking on site. Walking distance to the castle and Charles bridge. Host is friendly. 1. The apartment is situated in what's look like historical building in magic Hradčany area and in magic Nový Svět street. 2. Kitchen facilities are convenient. 3. Nice host trying to assist in any issue. The garden that belongs to the property was fantastic. I also found the location superb; close to everything, yet not in the middle of the tourist invasion. Very good location. We were able to organise our arrival at midnight. Many thanks for the owner who came look for us when we had lost. 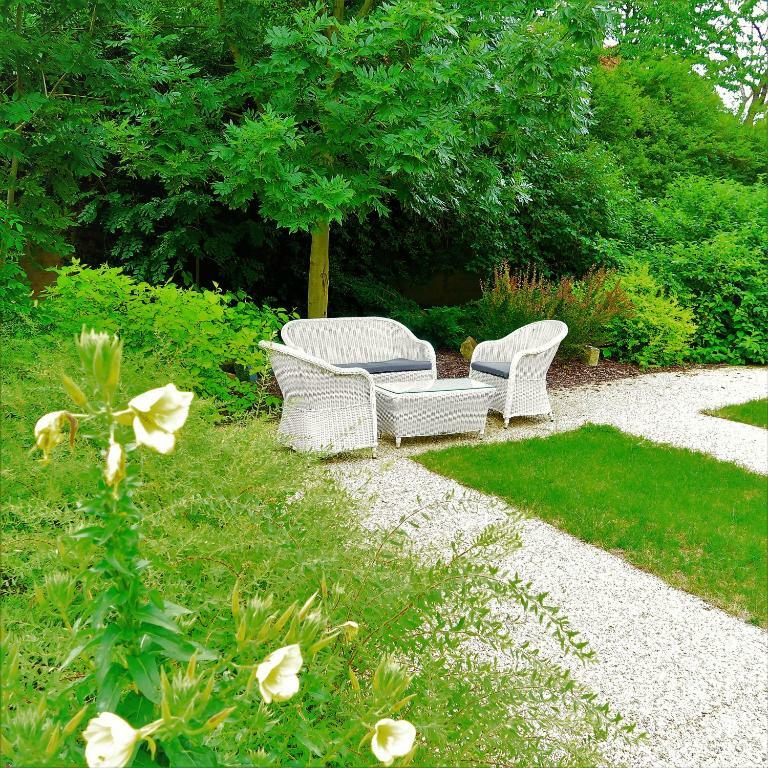 Lock in a great price for Garden Residence Prague Castle – rated 8.5 by recent guests! 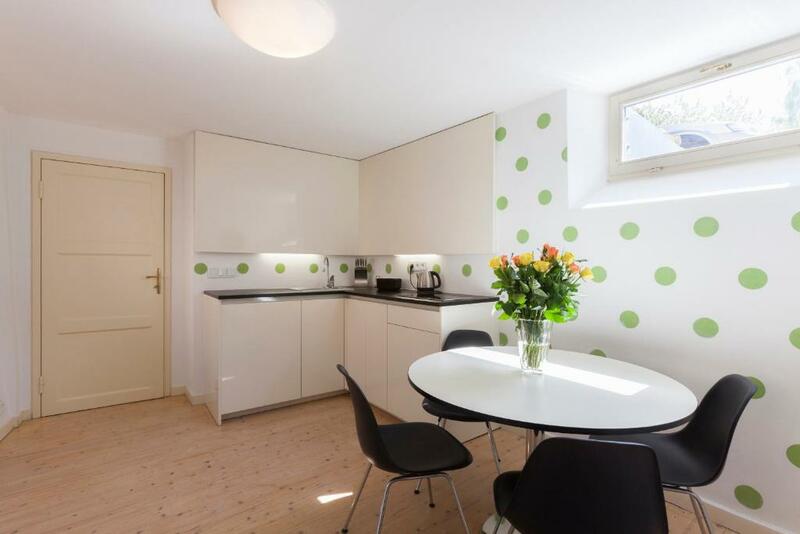 Garden Residence Prague Castle This rating is a reflection of how the property compares to the industry standard when it comes to price, facilities and services available. It's based on a self-evaluation by the property. Use this rating to help choose your stay! 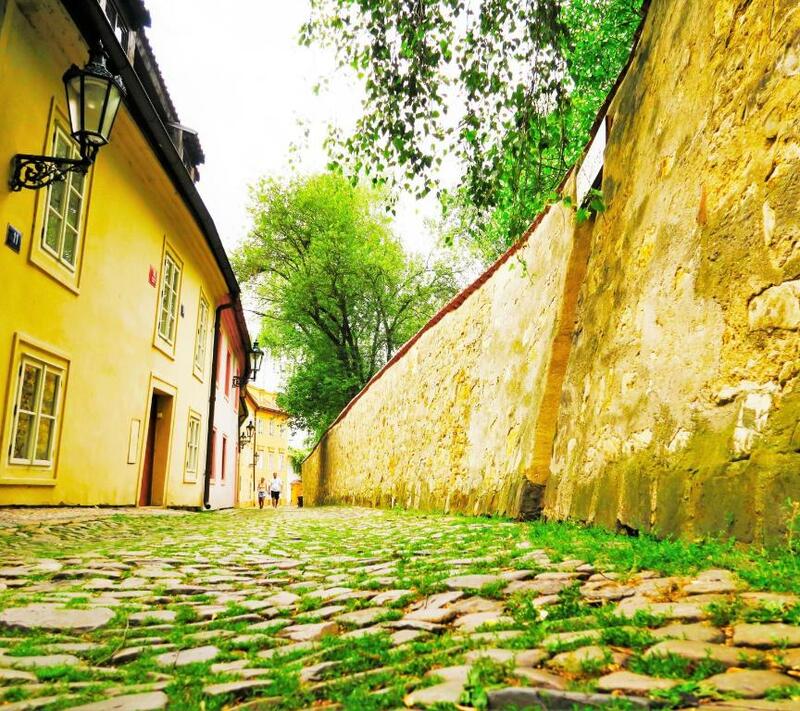 Located in a historical UNESCO-protected building at New World Street, a romantic street near Prague Castle, Garden Residence Prague Castle offers a self-catered accommodations with free WiFi available in all areas. The property is 500 feet from the Loreta Church and 1,300 feet from the Prague Castle. This apartment comes with a garden view, a well-fitted kitchen with a dining area, a flat-screen TV with satellite channels, a sofa bed, a seating area and a private bathroom with a bath tub, a shower, a hairdryer and free toiletries. Breakfast can be arranged upon a prior request and for a surcharge. The nearest restaurant can be found within 350 feet and a grocery store is set 800 feet away. 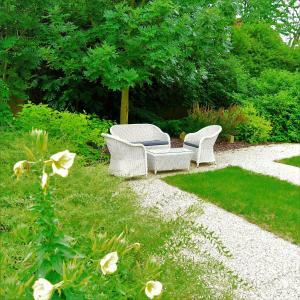 Guest can also relax in a spacious garden and enjoy the Loreta Church view. Car hire, an airport shuttle and cleaning services are provided for a surcharge. If you feel like visiting the surroundings, check out the Charles Bridge reachable within 0.9 mi or the Old Town Square set 1.3 mi away. 뀐 Located in the top-rated area in Prague, this property has an excellent location score of 9.1! When would you like to stay at Garden Residence Prague Castle? This room type comes with a garden and quite street view (entry of vehicles into this area is prohibited). There is a well-fitted kitchen with a dining area, a flat-screen TV with satellite channels, a sofa bed, a seating area and a private bathroom with a bath tub, a shower, a hairdryer and free toiletries. This historical building, mentioned at the beginning of the 16th century, is situated in the most romantic part of the historic centre of Prague, in the quarter Novy svet (New World), in close proximity to the world-famous Loreto,It is only a 3 minutes walk from the Prague Castle. The building is inscribed on the UNESCO List of World Heritage Sites and is also listed as a National Cultural Monument of the Czech Republic. It has undergone an extensive reconstruction carried out. Original architectural elements including windows and doors have either been reconstructed or their replicas have been made. These historical elements contrast well with the modern interior that has been furnished to provide superb comfort and to create an exclusive luxury ambience. As the only one in Prague centre the house offers to its guests an private garden of 600 sq. metres with private outdoor seatings and view of the Prague Loreto. The spacious apartments of 65 sq. metres have a fully equipped modern kitchen, satellite TV, high-speed WIFI internet. Each apartment comprises of an entrance hall, lounge, kitchen, bedroom, bathroom and separate WC. Parking is provided in private garden. Unique, green and absolutely most romantic place in Prague city centre ( Prague 1) - quiet district from the 16th century with pretty narrow streets and historical buildings only a few meters from the world famous Loreto, the Ministry of Foreign Affairs of the Czech Republic and Prague Castle complex. Immense numbers of Cafes, restaurants and pubs in historical buildings nearby. Recommended for couples, families with children and all the romantic souls. House Rules Garden Residence Prague Castle takes special requests – add in the next step! Garden Residence Prague Castle accepts these cards and reserves the right to temporarily hold an amount prior to arrival. Please note that child cot needs to be ordered in advance. Please note that parking is in closed garden of the residence. Please inform Garden Residence Prague Castle of your expected arrival time in advance. You can use the Special Requests box when booking, or contact the property directly using the contact details in your confirmation. Apartment was in basement, this was big clear from advert. Was damp and smelled of mould. It is an old building, so I understand the issues. If I had known it was basement I would have booked somewhere else. I felt photos were misleading. Parking was 20 Euros a day. No blackout blinds or curtains so room was flooded with light at sunrise. Very noisy central heating but this is a beautiful ancient property so it's to be expected. Could of had some basic instructions on heating, oven hob and TV etc. WiFi is poor, cannot even find any WiFi signal in the bedroom. Also the cleanliness of dishes need to be improved. Lack of information that parking place is extra payed - 20 euro / day. We have stayed at lower level (kind of underground) so most of the comments probably relevant to this apartment and not to higher level apartment: 1. The lower level apartment is not nice - the best definition: not cosy and not homely - even though the apartment is pretty big. 2. Bathroom facilities are not good - the bath is not covered by any curtain so you have to make a lot of affort to avoid flooding. 3. One double bed in on the floor. 4. For some reason Taxis are unable to arrive to the apartment and you have to take your luggage through stone road. 5. In general, the pictures on the site do not reflect the above and therefore my expectations were not met. We were in bottom (below ground) unit #1, friends in #2 above had better experience. Musty smell throughout unit despite air fresheners and dehumidifier. Bathroom floor dirty, no real shower—handheld shower head above tub with no curtain ends up wetting floor. Once you dry the floor after bath you realize how dirty it is. Not well maintained: front door handle fell off, window handle came off, other window handles loose, etc.